Ko 2, which potentially looks to be an entertaining political thriller, is in its post-production phase with all the talkies and songs shoot portions completely wrapped. This Bobby Simhaa, Nikki Galrani starrer was initially planned to release on the 17th of September but it might be postponed by a month, due to the mad release rush in September. Dates like October 21 are under consideration, according to sources. An official announcement regarding the film’s release is expected soon. It must be noted that Vikram’s 10 Endrathukulla is also expected to release on the very same date. Based on the film’s release date, the makers would be planning to release the trailer and the audio. Ko 2 is directed by newbie Sarath while the music department is headed by Leon James of Kanchana 2 fame. The Weight / Wait is over! Tamil Nadu box-office - Thani Oruvan is Ravi's best in recent times ! Bobby Simhaa Who Played As 'Assault Sethu' In Karthik Subbaraj's Jigarthanda Gets The National Award For Best Supporting Actor. Ko 2 Shooting To Wrap In Ten Days! Ko 2 From KV Anand? 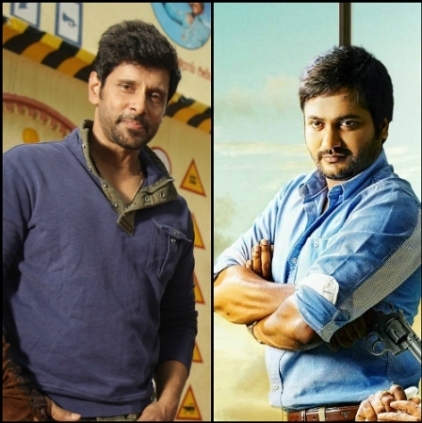 Is Imman Not Working On The BGM Of 10 Endrathukulla? People looking for online information on 10 Endrathukulla, Bobby Simhaa, Ko 2, Vikram will find this news story useful.